Compilations of mean global temperatures suggest a pattern of warming amounting to about 0.9 K over land in the past half century. To most scientists, this is convincing. A new study provides further evidence that the numbers are probably about right. The uncertainty arises mainly because historical records are patchy and often contain inconsistencies. The data must be homogenized to extrapolate a global average. To reduce uncertainty, NASA and the National Oceanic and Atmospheric Administration (NOAA) publish their data and algorithms. A British collaboration known as Hadley CRU is doing so too. The Berkeley Earth group in California aims to provide a single online databank of all temperature data and analysis and to encourage more scientists and statisticians to test the existing analyses. The group uses an algorithm to deal with awkward data that weights data points by their consistency with comparable readings and builds up a compilation going back to 1800. A technique known as kriging uses spatial correlations in weather to estimate temperatures between weather stations to provide more nuanced heat maps. The Berkeley Earth study shows that over the past 50 years the land surface warmed by 0.91 K. The work is due to be published online with a vast trove of supporting data. It may convince more skeptics that the world is warming. Ten days ago, Professor Richard Muller of Berkeley University, California, said that thanks to research from his Berkeley Earth Surface Temperatures (BEST) project, he was sure the planet has warmed by 0.9 K since 1950. On BBC Radio 4, he said: "In our data, which is only on the land, we see no evidence of [global warming] having slowed down." But he's wrong. A chart produced by the Global Warming Policy Foundation's David Whitehouse, plotted from BEST's own figures for the decade 2001-2010, shows no warming. BEST co-author Professor Judith Curry, who chairs the Department of Earth and Atmospheric Sciences at Georgia Institute of Technology, contradicts Muller: "There is no scientific basis for saying that warming hasn't stopped. To say that there is detracts from the credibility of the data, which is very unfortunate." 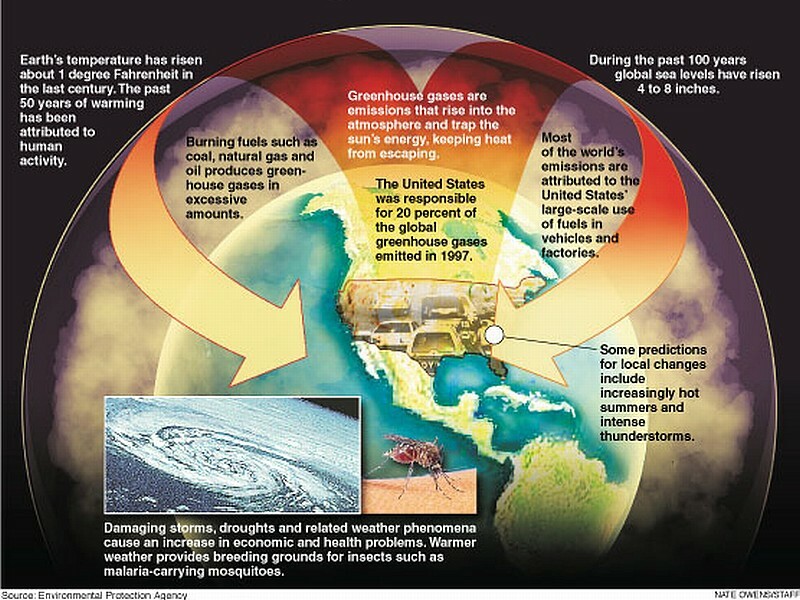 An opinion piece in The Wall Street Journal of January 27, 2012, by a group of sixteen scientists, asserts that the globe is not warming, that dissident voices are being suppressed, and that delaying policies to slow climate change for fifty years will have no serious economic or environment consequences. Six key issues are raised in the article. 1 Is the planet in fact warming? Temperatures are rising, and they were higher in the last decade than they were in earlier decades. The historical temperature series is highly volatile. The last decade of temperature and stock market data is not representative of the longer-term trends. The finding that global temperatures are rising over the last century-plus is robust. 2 Are human influences an important contributor to warming? To test the performance of a climate model, modelers input the changes in CO2 concentrations and other climate influences and estimate the resulting temperature path, and compare the outcome with the counterfactual case where there is no input for human-induced changes. This experiment has been performed many times, to show that no climate model using natural warming factors alone has reproduced the observed global warming trend in the second half of the twentieth century. 3 Is carbon dioxide a pollutant? The question whether emissions of CO2 and other greenhouse gases will cause net damages, now and in the future, has been studied extensively. A recent survey finds a wide range of damages if warming is greater than 2 K, including sea-level rise, more intense hurricanes, losses of species and ecosystems, acidification of the oceans, as well as threats to the natural and cultural heritage of the planet. The contention that CO2 is not a pollutant is a rhetorical device. 4 Are we seeing a regime of fear for skeptical climate scientists? The idea that skeptical climate scientists are being intimidated has no basis in fact. No climate scientist has been expelled from the U.S. National Academy of Sciences. There are controversies about many details of climate science and economics. While some claim that skeptics cannot get their papers published, working papers and the Internet are open to all. Nothing is being suppressed. 5 Are the views of mainstream climate scientists driven primarily by the desire for financial gain? The skeptics misunderstand the incentives in academic research. Scientists who serve on panels of the National Academy of Science do so without monetary compensation for their time and are subject to close scrutiny for conflicts of interest. The attacks on the science of global warming are reminiscent of the resistance by cigarette companies to scientific findings on the dangers of smoking. Expenditures on all energy goods and services are close to $1 trillion. Restrictions on CO2 emissions large enough to bend downward the temperature curve from its current trajectory to a maximum of 2 or 3 K would have large economic effects on many businesses. 6 Is it true that more carbon dioxide and additional warming will be beneficial? The skeptics� summary is based on poor analysis. They cite the benefit-to-cost ratio to support their argument, but the appropriate criterion for decisions in this context is the difference between (and not the ratio of) benefits and costs. My research shows that there are substantial net benefits from acting now rather than waiting fifty years. The cost of waiting fifty years to begin reducing CO2 emissions is $4.1 trillion at today's economy and prices. The many uncertainties here do not imply that action should be delayed. The claim that cap-and-trade legislation or carbon taxes would be ruinous or disastrous to our societies does not stand up to serious economic analysis.